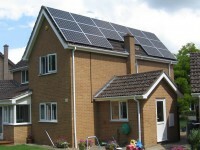 Alpha Eco Systems for solar PV installations. Genuine low prices, sole proprietor so lower overheads and those savings passed straight to you. System payback times reduced, your profits increased and a one to one service that a large company simply can't give you. Free, no-obligation quotes a pleasure. All areas of East Anglia covered. PRICE PROMISE- We can beat any like for like price, please just ask for more information. We do not bulk buy panels or inverters, we survey your property, and then recommend what will work best for you- at a price that can't be beat! Your quote, survey, installation and paperwork will all be completed BY THE SAME PERSON, so complete continuity and simplicity! We will gladly provide you with genuine testimonials from customers located near you. There is no such thing as an unsatisfied ALPHA ECO customer! 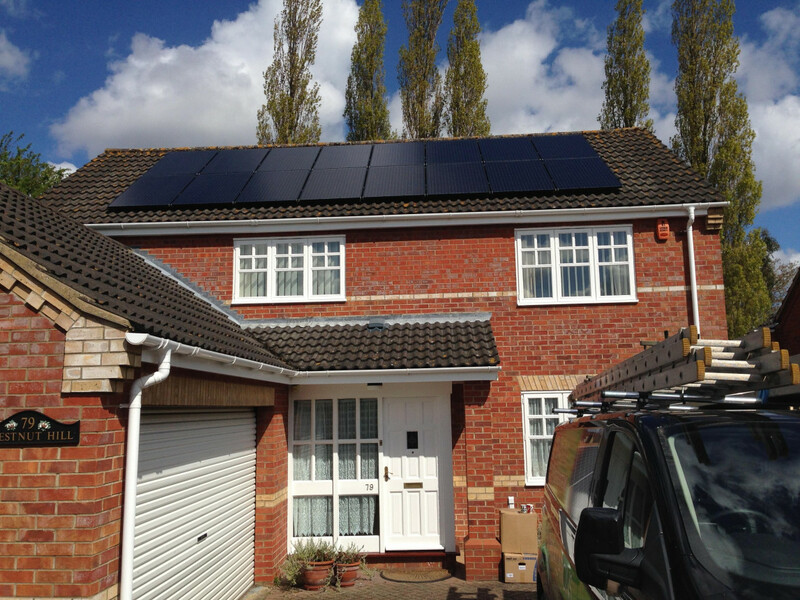 2.0 kwp install, gorleston 2.0 kwp installation in gorleston, with the philadelphia m60 250w solar panels, rated the best in the world!! the 'enasolar' inverter with built in wi-fi means you can read instantanious input/output, total units generated, daily/weekly/monthly totals etc from your pc, laptop or even iphone/smartphone! this delighted customer got change from â£9k! (feb 2011) for this huge spec install-how do i do it for the money?! if you would like a similar install, please call. thanks and hope to speak soon, derek. 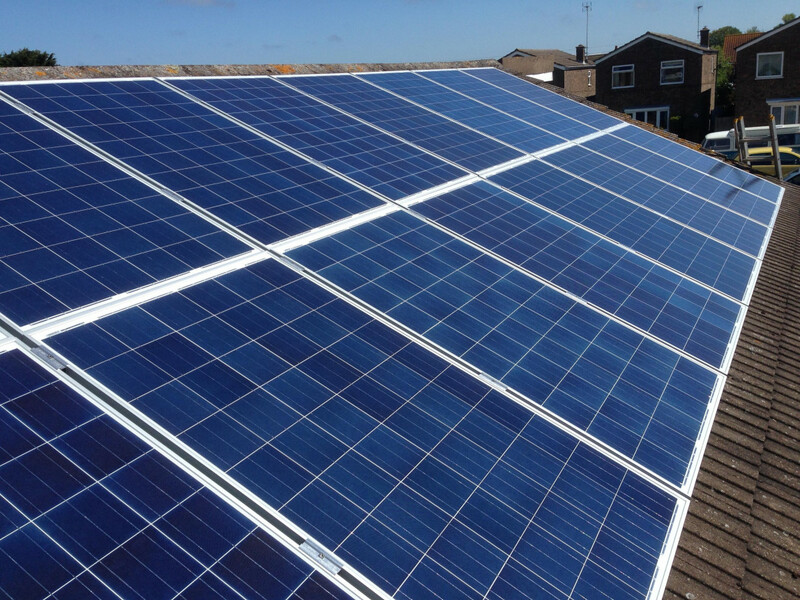 4.0 kwp install- burgh castle this customer lived in a listed building, so he wisely opted to install his solar pv array on one of his outbuildings. there was no south facing roof so we mounted world-leading philadelphia panels on east and west facing roof spaces, then utilised the twin-tracker tech within the excellent sma 'sunnyboy' tl4000 inverter to give a all-day and year round high yield! as always, it was an absolute joy to see the units add up while still commisioning! 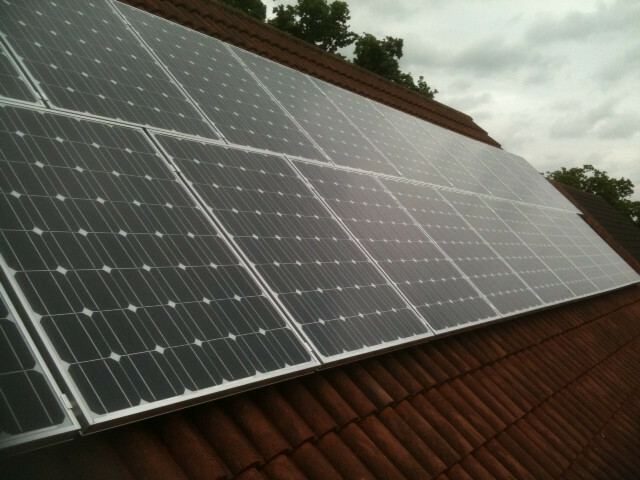 3.92 kwp sharp array, ormesby 16 245w sharp mono panels, arranged in two arrays of eight. installed with a fronius ig 3.6 inverter with usb connectivity and data/self diagnostics log. total cost less than â£12,000 (aprill 2011, would be more like £6,000 now) means a payback time of less than 7 years! for more info or for your free quote, please do not hesitate to call, derek. 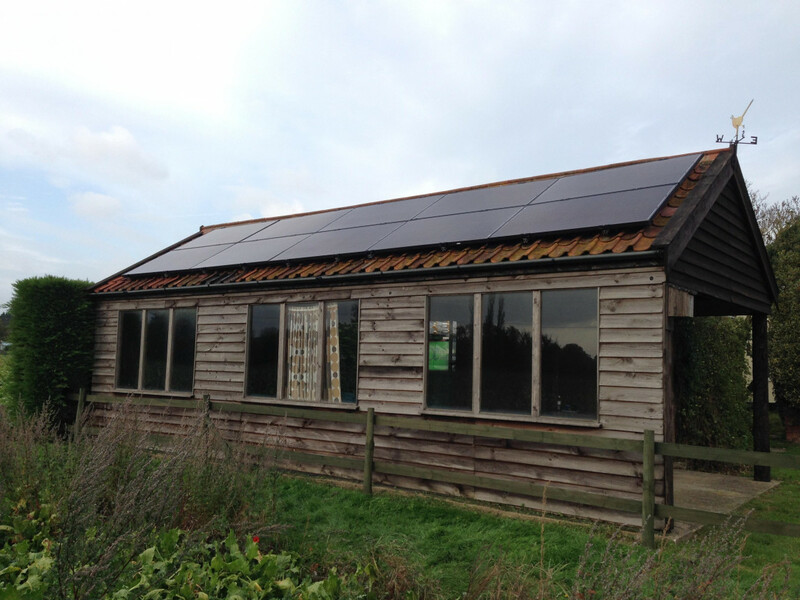 1.5 kwp install, north norfolk 1.5 kwp install comprising of 6 250w philadelphia panels, west facing. you don't have to have a south facing roof to make an excellent return. 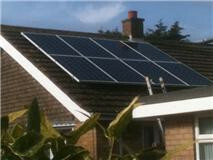 an east or westerly facing pv array will still triple the money invested in it! 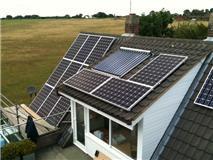 installed with a enasolar 1.5 inverter with built in wi-fi connectivity. 3.88 kwp sharp install, horsford 21 x 185w sharp mono panels were a perfect fit for this roof, installed with the awesome sma sunnyboy 4000tl inverter, top of the range with built in bluetooth and an sunnybeam monitor display- a very classy gadget must-have! all installed for â£12k! (may 2011, would be £6,000 now) bargain of the year! owner was thrilled at how quick the units mount up! 3.68 kwp install, gorleston these 230w polycrystaline panels were recommended to me by a friend in the industry, and i was very impressed by the quality and the yield, out performing many mono panels. installed with a sma sunnyboy inverter with bluetooth, and a sunnybeam display (wireless). for this customer we were able to install a higher quality system for a better price! 4.0 kwp sharp array, gt barton. 16 x 250w sharp panels, with sunnyboy 4000tl inverter and bluetooth portable display (sunnybeam) mounted in landscape layout to maximise the available roof space. 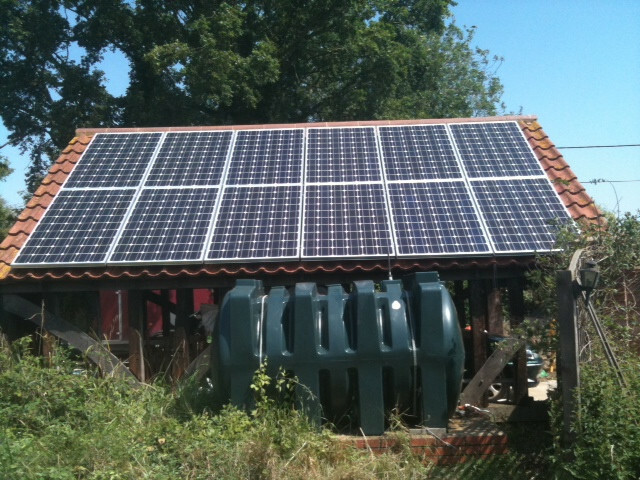 2.94 kwp array, suffolk. this customers house didn't have a usable south facing roof, but his car port did! 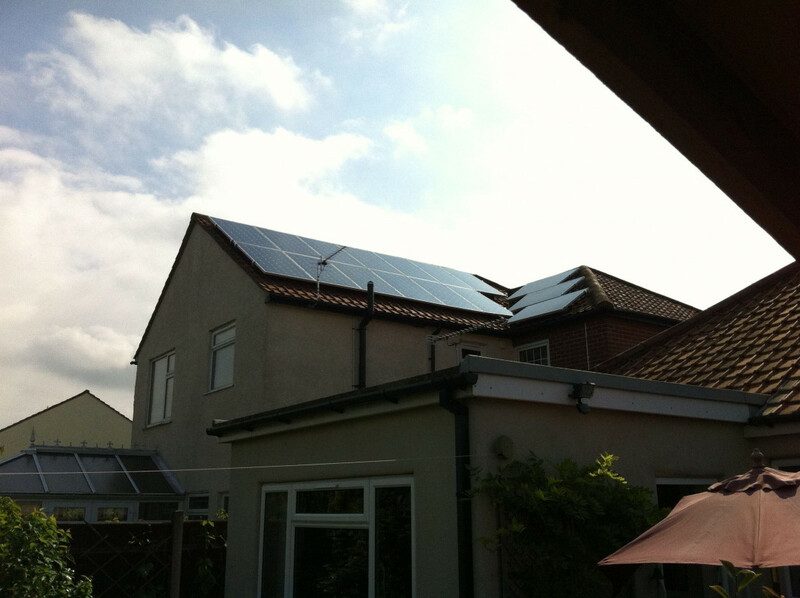 we maximised the available space using 12 of the popular 245w sharp panels, giving this array a rating of 2.96 kwp. by installing an sma inverter witha bluetooth 'piggy-back' and a 'sunnybeam' remote monitor, this delighted customer could check how much he was generating/earning from within his house- very handy if you want to check want your system is generating before you switch home appliances on! 3.75 kwp, norwich. this array consists of 15 x 250w sharp panels, with a 'peak' rating of 3.75 kw. what really made this customers day, was that while still commissioning the system, the sunnybeam remote monitor at times was showing that the array could do well over the 'kwp'- even hitting 4.0 kw! some panels have a +5% tolerance capability, which is why choice of panels is very important! 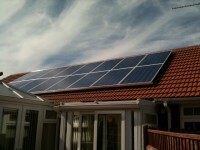 3.43 kwp, lowestoft. this array is 14 x 245w sharp panels, arranged as two rows of 7 in portrait mode. this customer is an accountant who already understood that solar pv makes excellent financial sense.... it was just a matter of finding the right company to do it! 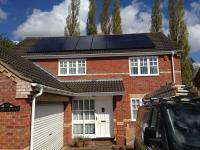 4.0 kwp, barnby. mounted on a horse stable roof, this 16 x 250w sharp array was a joy to do! we seem to be doing more and more installations on outbuildings, due to the fact we survey on site carefully to offer potential customers a choice of installations to suit them and maximise returns. 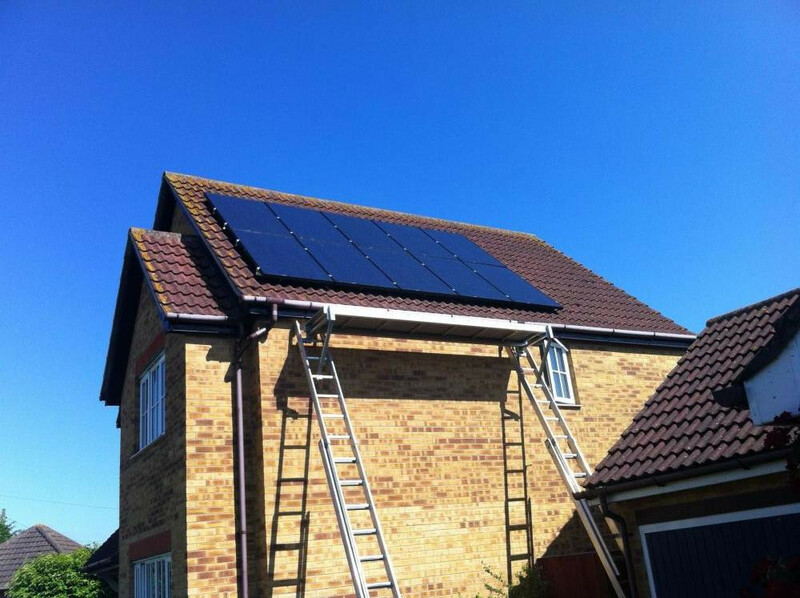 as i quote and install, i can give you much more info than a 'grand man' can, (grand man is the industry term for salesman- as the average solar pv commision is a whopping £1000!) -most of them can't tell the differance between a good panel and a hole in the ground!! so any questions please feel free to ask. remember that there is no such thing as a 'stupid question'- there is, however, stupid answers! 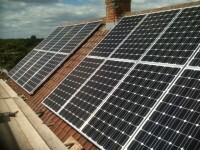 4.0 kwp, blofield array of 16 x 250w sharp panels. by using an sma sunnyboy inverter, with 'twin trackers' you can install differant sized arrays on differant roofs, even facing differant directions! ideal if you roof is in sections as in this case. South and west array, 4.0 kwp we are completing more 'split' arrays- as it makes perfect financial sense to maximise the available space. 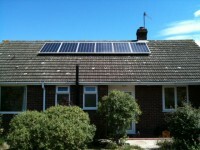 many people believe that you need a south facing roof for solar to work but this is simply not the case! All black panels for a subtle look. if your roof tiles are grey or black, or if you have a slate roof, 'all black' panels look better. now available at no extra cost than normal silver framed panels. 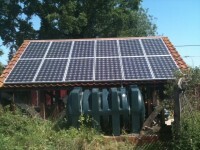 a 2.5 kwp system like this typically costs just £4,750! Where there is a will, there is a way! this customer really wanted a 4.00 kwp system, so we went the extra mile to make it happen by planning this system which is already out-performing the sap estimates! and all for £5,950! 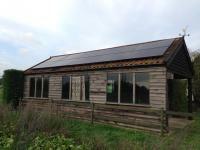 Utility block, caravan park commercial property can also benefit from solar as an excellent investment. 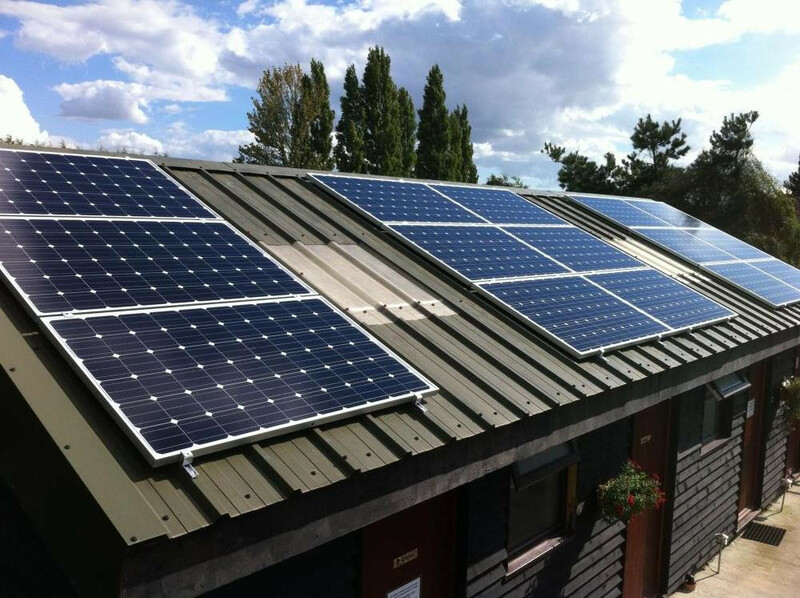 this clever caravan park owner in newbourne near ipswich chose us to install this 3.75 kwp system with remote monitoring for just £5,600, earning a heathly return of investment and making a big dent in the electricity bill! Rosemary (biscuit) tiles no problem! 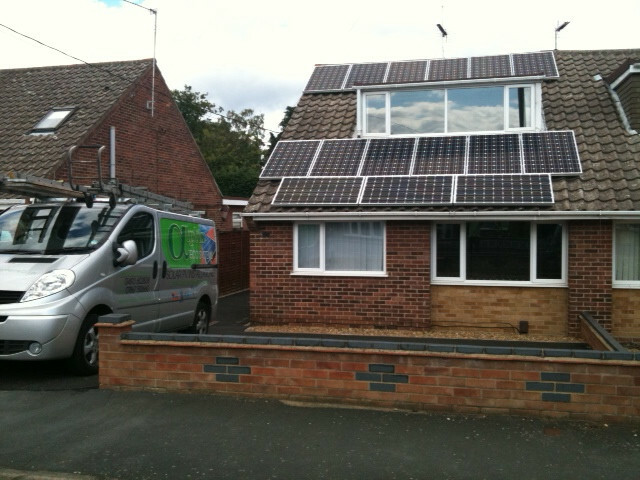 fitting solar panels to a property should not compromise the integrity of the roof if done right. 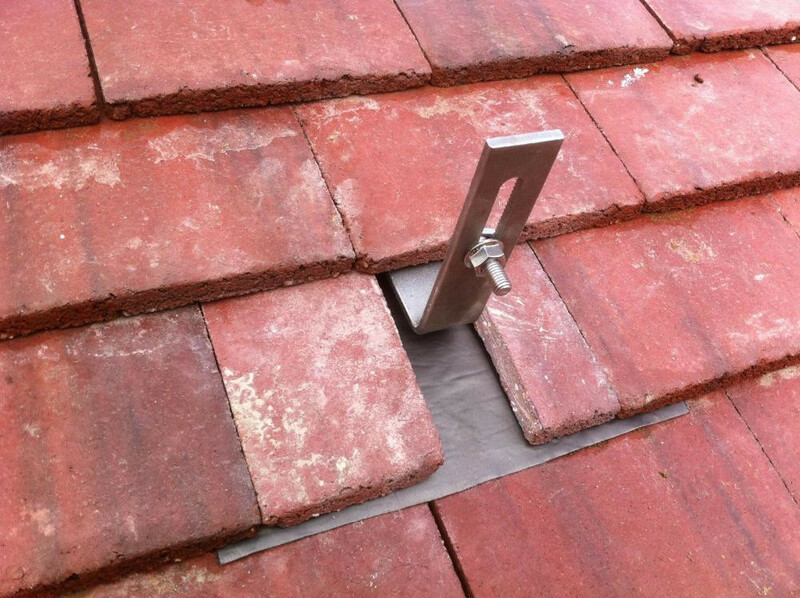 we have the experience to install an array on you property regardless of type of roof covering, even these 'biscuit' tiles that lesser installers would be wary of. 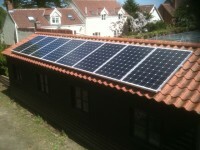 4.00 kwp on artists studio this install was on an east/west roof of an out building used as a studio. a joy to do! in roof array, 4.0 kw, perlight panels, scraby by using gse in roof mounts, the panels are installed within the roof, instead of over the roof- for a cleaner line and more discreet finished. this is much more labour intensive, so costs more, but the finished result looks superb! 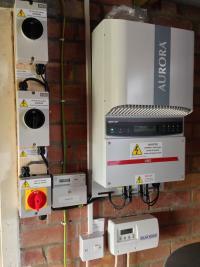 Aurora inverter and solar iboost immersion switch the abb 'aurora' inverter is a great inverter. installer defined, not the usual 'plug and play' that many companies would fit- this means that i set the inverter up to best suit the array/s and location to maximise results and squeeze every watt possible out of the sun! if you have an immersion tank, then the solar iboost is a no-brainer really. 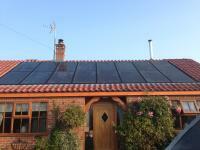 why pay to heat you hot water when you have a solar installation? please call for more information. 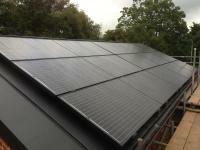 4.0 kw array, norwich, 'eternity' panels we are registered '8.33' installers- we love the 'eternity' panels. extended warranties, obsesive quality control, great looks and market leading power tolerance make this the panel of the year- please ask for more details. All black array over zinc roof, acle. this zinc roof only had a 'standing seam' finish-no problem! as always, this systems over performed the sap estimation- the customer was over the moon! 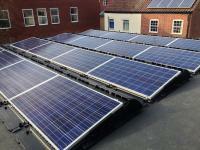 Flat roof array, 4.0 kw, norwich. 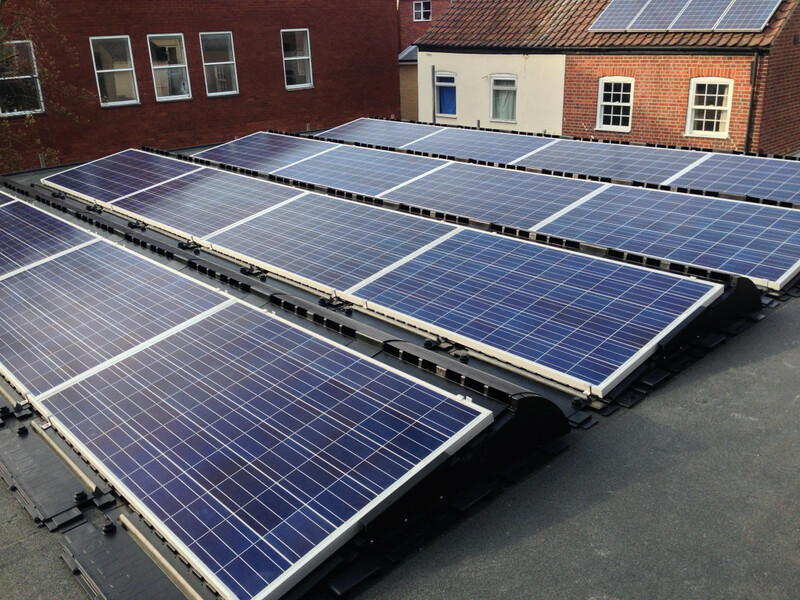 using 'solion sunmounts' we installed this great looking array on a block of flats in norwich. the project manager was so impressed, he has referred us resulting in another 5 installs. almost all of our work is referrals - we feel proud and pleased with that! 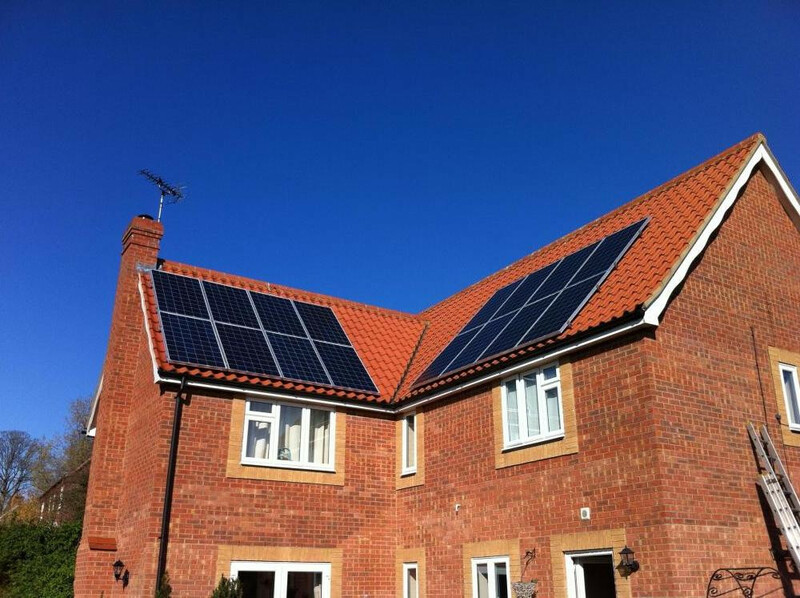 4.0 kw array, poly crystalline silver framed panels winterton, this customer really wanted solar, but was on a budget so a friend referred him to us- and we were happy to help. £4,500 job done! (june 2014) i don't know how i do it for the money! please call for more info. Our review of Alpha Eco Systems is very high, we had previously been given a quote by a large national company but their price was way above Alpha's and their components were not as good. 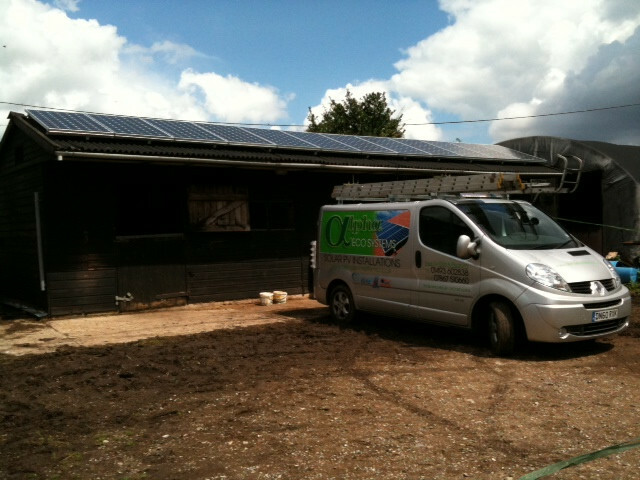 The Pv system was fitted in a day and Derek returned the next to go through everything with us. All the paperwork to our energy supplier was printed off and filled in by Derek with only our bank details to be added. 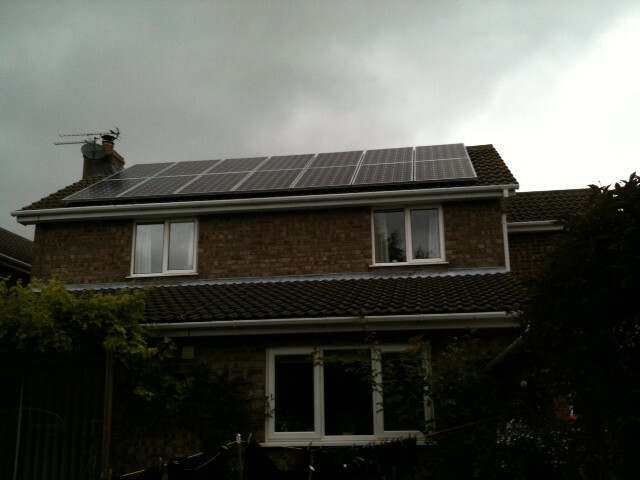 The system is exceeding our expectations & we would recommend Alpha Eco Systems to anyone, many thanks. Thank you Mr Ellis, both for your feedback and for the referrals! Always helpful, all our questions were answered, they arrived on time and the job was completed on schedule. They did an excepionally clean job, there was no clearing up to do after they finished. I would be more than happy to recommend Alpha Eco systems to friends and family. System working very well, just need some fine weather. Would and have reccomended Alpha to others without hesitation. The work was done on the day arranged and completed quickly and efficiently. Everything was explained to us at at each stage and we are more than happy to recommend Alpha Eco Systems. 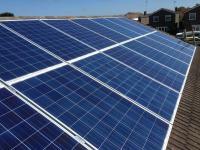 Alpha Eco Systems are MCS accredited engineers who supply and install Solar PV. 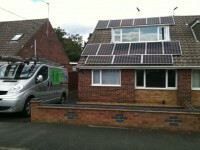 For similar installers in this area please visit the Great Yarmouth solar page. "Our review of Alpha Eco Systems is very high, we had previously been given a quote by a large national company but their price was way above Alpha's and their components were not as good. 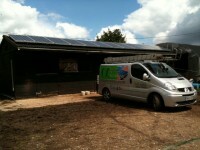 The Pv system was fitted in a day and Derek returned the next to go through everything with us. All the paperwork to our energy supplier was printed off and filled in by Derek with only our bank details to be added. 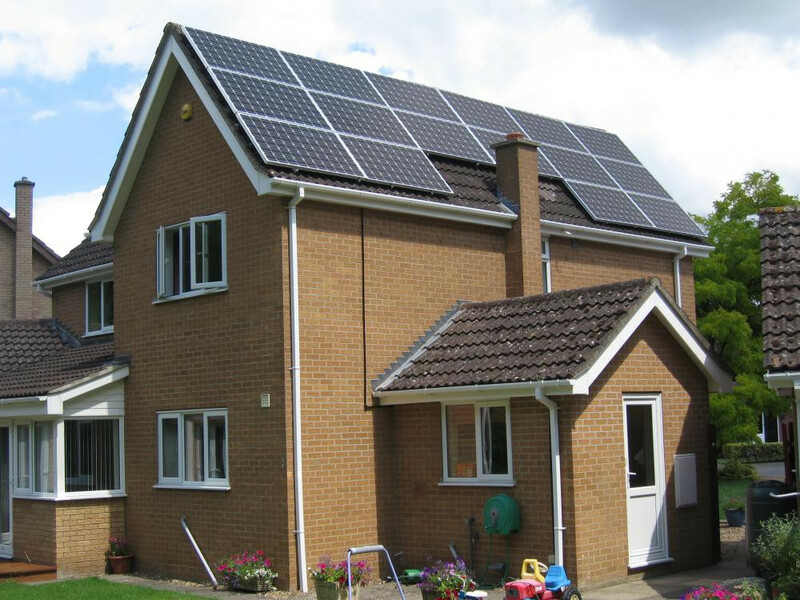 The system is exceeding our expectations & we would recommend Alpha Eco Systems to anyone, many thanks."